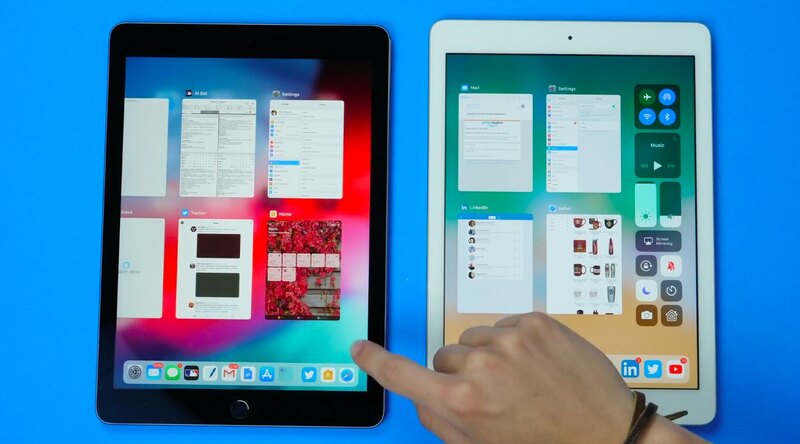 iOS 12 brings iPhone X-style multitasking gestures to your iPad. For consistency’s sake, Apple customers can now interact with multiple apps on their tablet using all-new multitasking gestures that have replaced key functions of the versatile Home button. When iPhone X made its debut last September, Apple made sure to implement new system-wide gestures in iOS 11 to mimic the versatility and a few key functions of the Home button, like getting back to your Home screen or invoking the app switcher. This resulted in inconsistencies as existing devices with a Home button got stuck with the old way of doing this. With iOS 12, Apple has made further changes to bring a consistent user experience across devices in terms of multitasking gestures. Everyone knows that pressing the Home button takes you to the Home screen, wherever you happen to be in iOS. In preparing iPad for the notch and a future without the Home button, Appel took care to bring relevant gestures from iPhone X over to the tablet. To close the app you’re currently using and go back to the Home screen, swipe up from the bottom edge of the display until the app zooms out and you find yourself on the familiar Home screen. Swipe up again to instantly jump to Home screen 0. In iOS 11, Control Center appeared as an “app” on the righthand side of Control Center. Thankfully, iOS 12 splits up the app switcher and Control Center, like on iPhone. 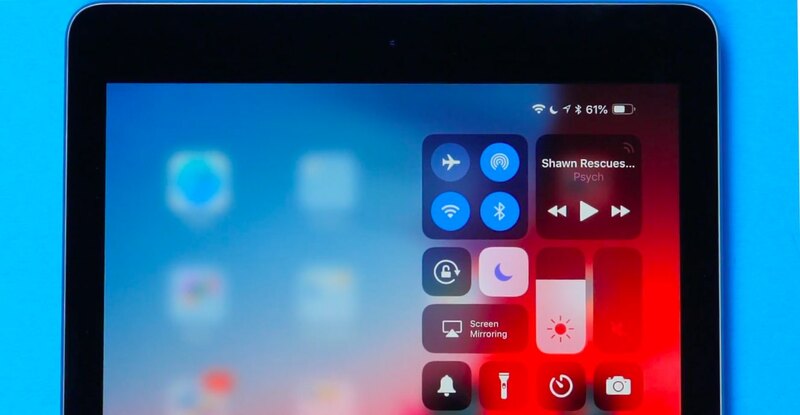 To show Control Center on your iPad with iOS 12 or newer, swipe down from the top-right corner of the display. To close Control Center, tap anywhere outside the overlay. On iOS 11, iPad users could show the Notification Center overlay while using an app by swiping down from the top edge of the display. Since iOS 12 has already allocated the top-right corner to the new Control Center gesture, the way you get to your recent notifications requires pulling down from the top-left or top-center of the display. Yup, just like on iPhone X.
iOS 11 let you enter a Mac-like Dock by swiping up with one finger from the bottom edge of the screen. On iOS 12, swipe slowly from the bottom edge of the display to show the Dock.This gesture definitely takes some time getting used to. To see the app switcher on iOS 11, you’d swipe up from the bottom edge of the screen with one finger. iOS 12 remaps this to the gesture we saw on iPhone X: swipe up, then pause. As mentioned before, the iPad app switcher no longer includes the Control Center overlay. App switcher on iOS 11, at right, includes Control Center. iOS 12, at left, does not.